With summer winding down, we’ve all got to get back into a more regular work and school routine. But just because summer is ending doesn’t mean we have to sacrifice the healthy lifestyle habits we worked so hard to develop. 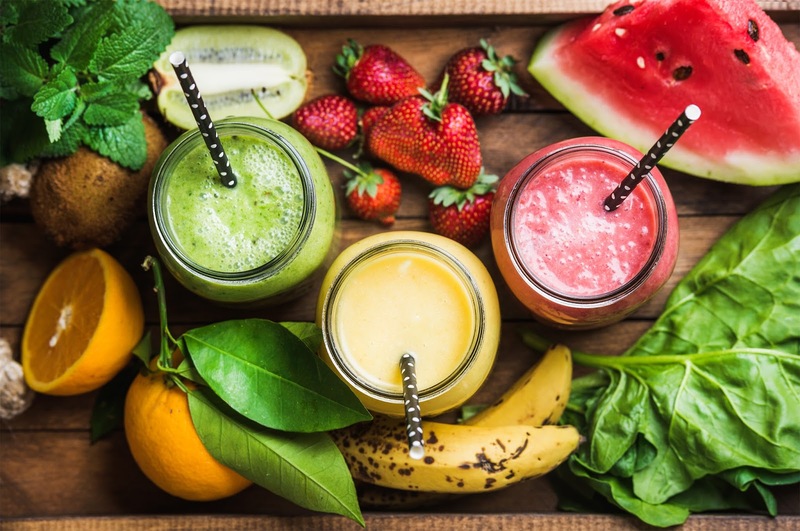 Smoothies and smoothie bowls are a tasty and quick way to get all your required nutrients, whether you’re on your way to work, school or the gym. When combined with our line of BioFix Energy Powder Mixes, you’ve got a nutritious breakfast that packs the energy punch of a cup of coffee with the nutrition of a multivitamin to keep you going throughout the day. Here are some healthy and delicious ways to add a new mix to your morning breakfast routine. We love this smoothie recipe because it is so simple and classic yet such a great addition to your morning routine. If you’re new to smoothie culture, this is exactly the kind of recipe you’ll want to try. Once you do, you’ll be craving this easy morning pick-me-up every day. Blend these simple ingredients for about 20 seconds and enjoy this delicious and satisfying breakfast of 308 calories that is sure to hold you over till your next nutritious meal. Smoothies, while tasty, might not be an option for those of us with an intolerance to lactose. However, soy milk is a delicious and protein-rich alternative that will make a great addition to your morning routine. Blend it all together for about 20 seconds and mix in a little honey to your desired sweetness, and you’ve got a creamy and decadent morning concoction that comes out to a cool 340 calories of nutritious morning energy. Whoever said you can’t have dessert for breakfast and still be healthy is lying. This fruit-and-vegetable-packed key lime pie creation, which can be enjoyed as a smoothie or a smoothie bowl, has all the flavor of key lime pie with none of the guilt. Once blended, enjoy this creamy and healthy breakfast of only about 340 calories. To really complete the “pie,” sprinkle ¼ cup of your favorite granola on top as a sweet and crunchy “crust” and enjoy! With these smoothie recipes in your arsenal, you will surely be making even more healthy choices throughout the year, and we are here to help along the way.